Although the field of adult education is a priority when it comes to ensuring access the labor market, the European Commission’s conclusion is that the percentage of accessibility is low, and that the participation of adults in education remains insufficient. Adult learning is anticipated as a way of re-training of the unemployed, way to acquire new knowledge and skills, as well as to create new employment opportunities. European Agenda for Adult Learning emphasizes the need to identify those educational practices that will help adults who need education the most such as immigrants, low-skilled workers and the unemployed. Besides, adult learning is related to the concept of lifelong learning as one of the governing principles the European Union. The focus of work in this thematic working group is evaluating the quality of policies dealing with adult education, identifying strengths and weaknesses in this area among the EU Member States, proposing adequate solutions and identifying best practice. Special attention is paid to developing skills in the use of ICT as a prerequisite for inclusion of adults in the labor market, but for a full social inclusion also. 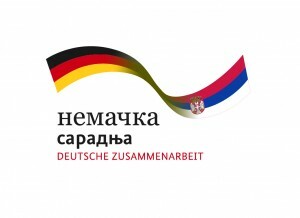 In that sense, the assignment of the representatives of Serbia in the thematic working group Adult Learning is to participate at meetings are aimed at the exchange of experiences among the countries participating in the working group, provide recommendations on best mechanisms for adult requalification and additional qualification based on best practices, and to prepare guidelines for the implementation of educational policy which rely on the principle of lifelong learning. The elected representatives of the Republic of Serbia in the Open Method of Coordination in Education and Training who participate in this working group are Mirjana Milanović, representative of the Ministry of Education, Science and Technological Development and Snežana Medić, representative of the Belgrade University.